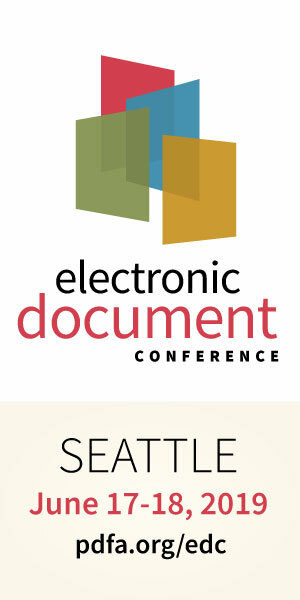 Join our partne callas software at the Electronic Document Conference. The EDC is a do-not-miss event for developers, product managers and technical users creating and leveraging electronic document technology. I didn’t know PDF could do that! Are you confident that your redacted documents are safe to be shared? SafeDocs: Could PDF be a weapon in cyber warfare? Where Does PDF fit in the future of documents? Email archival in PDF – how does that make sense? „Enterprise PDF rendition“ – What is this? How does PDF fit into your workflow? New callas License Server for Cloud Services!